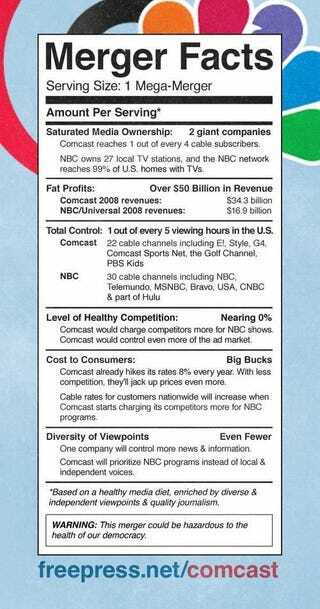 The Comcast-NBC merger is going to be a huge bag of hurt for everyone. A cable company owning a channel that reaches 99% of U.S. homes, controlling 1 out of every 5 TV viewing hours? Doesn't seem healthy to me.